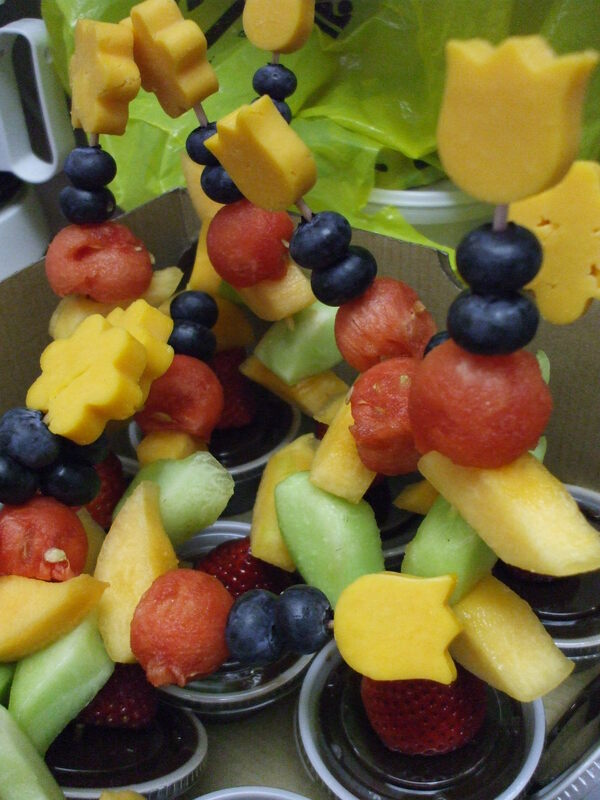 We enjoyed a very YUMMY and playful snack…..fruit & cheese flower kabobs. Tuesday this past week we had a packed house! Lots of kids (and parents) came out to join in on the fun! Wednesday was still a lot of fun even with a few less kids. It was our Alphabet soup week which includes some fun activities of moving, “dancing”, singing, saying poems, as well as each mom reads to their own children. The craft this week was a puppet on a stick with conjunction of talking about emotions, one side had a happy face, the other a sad face. This past week in the Playroom!